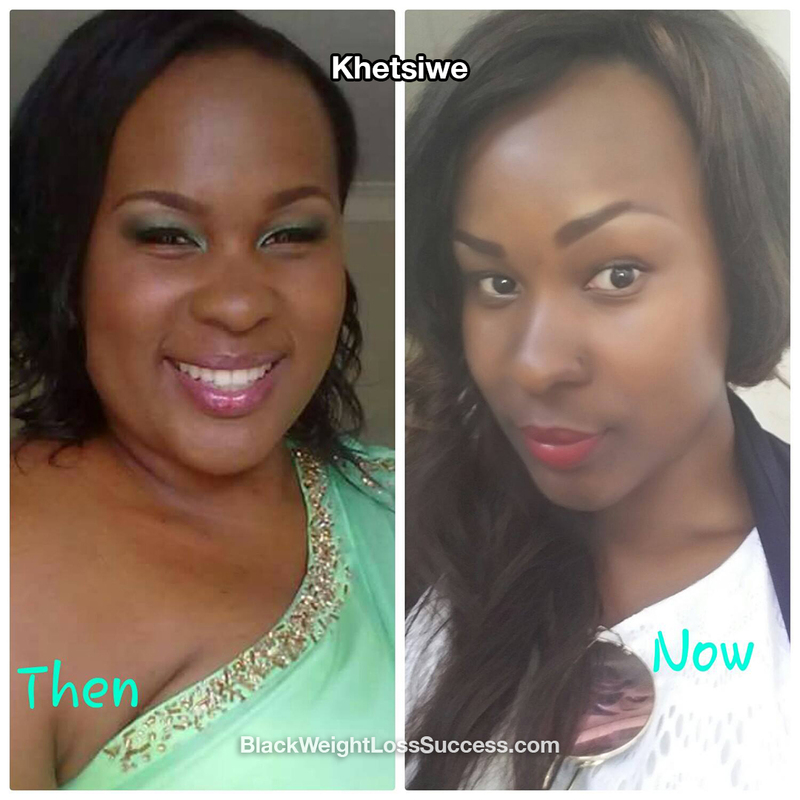 Transformation of the Day: Khetsiwe lost 62 pounds/28kg. Our sister from Swaziland gained the weight after moving to a new city. Although she’d been able to manage her weight in the past with exercise, she realized that she never mastered healthy eating. By focusing on nutrition and fitness, she has transformed. Check out how she took action. 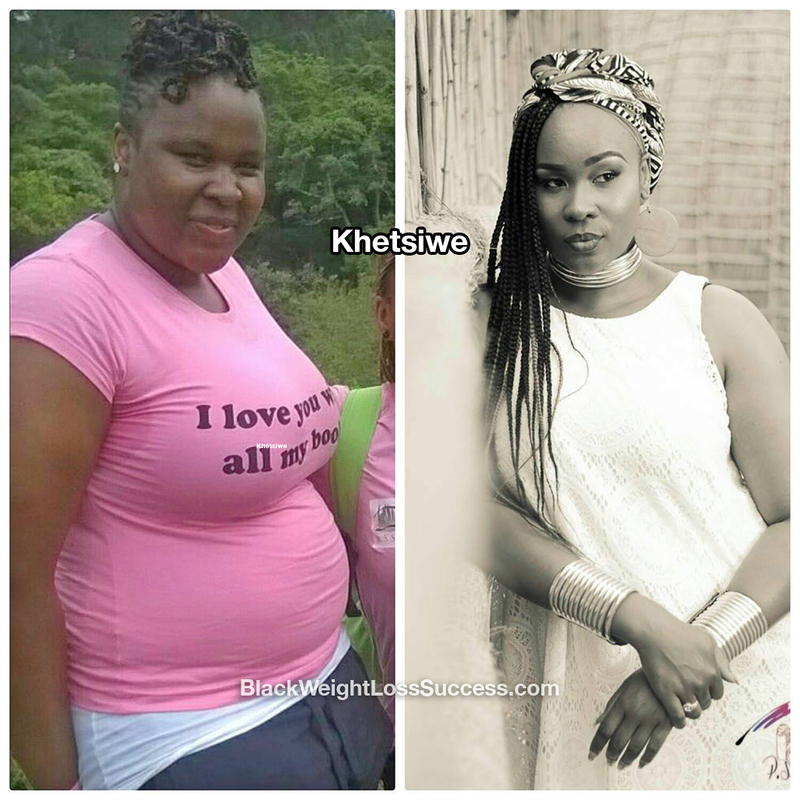 I’m a 28 years old woman from Swaziland and this is my weight loss story. At my highest weight, I weighed 122kg (269 pounds). Before I gained the weight, I literally lived in the gym for 4 years and worked out every day, because I worked there. However, I did not master how to eat right. After changing jobs and moving to a different city, it was difficult to find a good gym and my weight ballooned out of control. I decided to start all over again, exercising on and off, and managed to lose 10kg (22 pounds) in over a year. In October 2016, I learned how to eat right. I eliminated sugar, especially cane and artificial sugar. I also eliminated processed food, ate fats in moderation and reduced my intake of starch and flour based foods greatly. With that, I lost 15kg (33 pounds) in 10 weeks. Now, I jog 3.5km 3 times a week and 10km once every 2 weeks. I also do weight-free stomach and arm exercises, squats and lunges. So far, I have managed to maintain a weight of 94kg (207 pounds) with light exercise for fitness and toning, as well as and what I eat. I am 177cm tall (5’8″). I have moments when I indulge in ‘bad food’, but that doesn’t mean it’s the end of me or that I will whale up the very next day. I just try not to over indulge on those days. I’m still fighting the good fight every day and my goal weight is 80kg (176 pounds). My advice for people who want to lose weight would be for people to eat right. Eat the right food in the right portion sizes. Fad diets are hard and the results are short lived. Some diets even have bad consequences. I would also encourage them to exercise because it helps with overall fitness and toning your body. For a long time, I believed that I was big and that was just it. Yes, I have a bigger frame, but when things started spiraling out of control I went into denial mode. My defence machanism was saying, ‘I love me the way i am.’, ‘I’m big and proud.’, etc. Then, everyday on my way to work, I would pass a mirrored window and my side view grew bigger and bigger. I started to hate what I saw. Reality slapped me across the face when I started feeling the weight pressing on my knees. I also needed bigger clothes, and honestly did not feel attractive anymore. So, I had to change. My lifestyle had to change. Above all, my attitude had to change. One step at a time, I did it and I won. That mirrored window reminded me everyday when I passed it. Now, I smile rather than get upset when I see my reflection. You look so beautiful! Keep going my sister! Many blessings to you on this journey!